Comments: Savage Opress is magically strengthened by the witches of Dathomir and trained by Count Dooku in lightsaber combat and the ways of the dark side. Dooku sends Opress on a mission to kidnap the king of Toydaria, but when the Jedi intervene, Opress wields his double-bladed lightsaber with devastating results. • Savage Opress is an all-new figure. 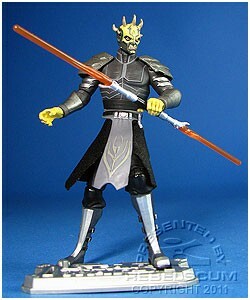 • The extra accessories included with this figure can be seen in the Clone Wars Adventures online game. • The display battle stand included in this line is random: there are four different designs that spotlight different skills on the battle card. 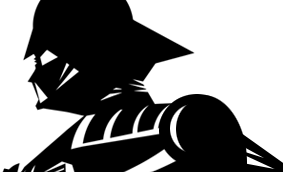 • An insert has been included with this figure: a Cartoon Network code, used to unlock exclusive online content.